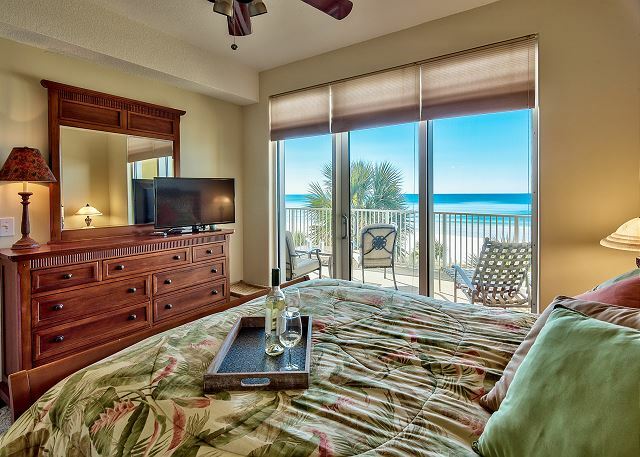 Welcome to Ocean Villa 302! 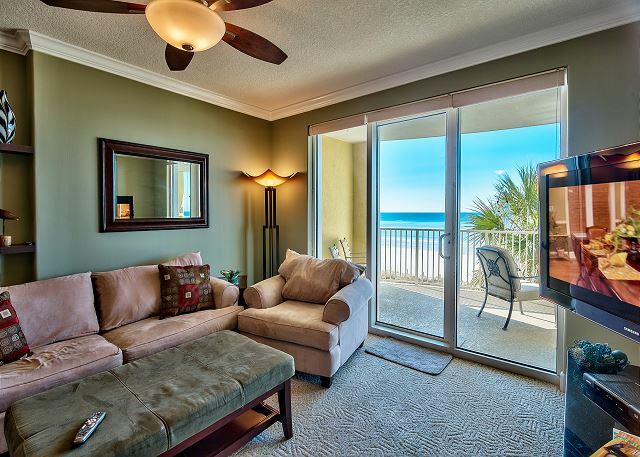 If relaxing with stunning views of the beach and the sound of the surf are what you’re looking forward to, then this is the condo for you! 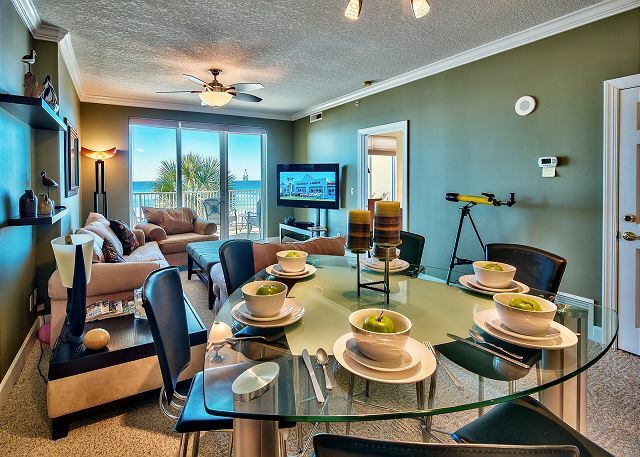 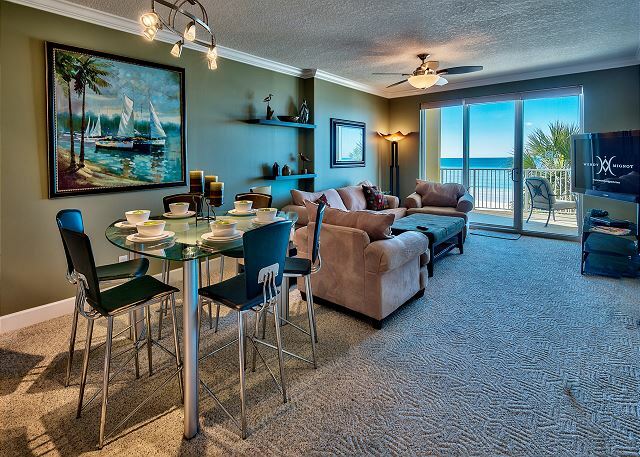 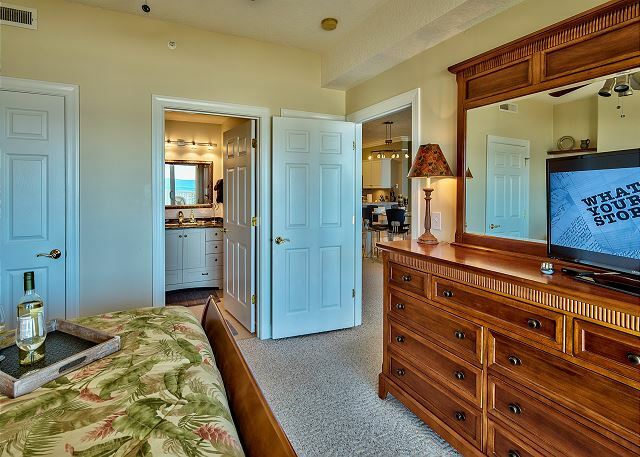 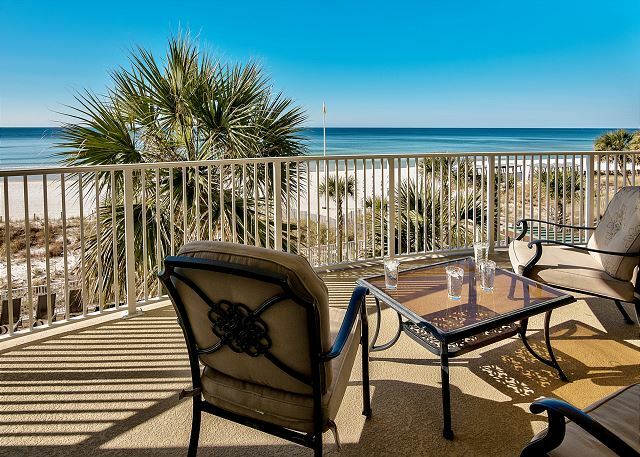 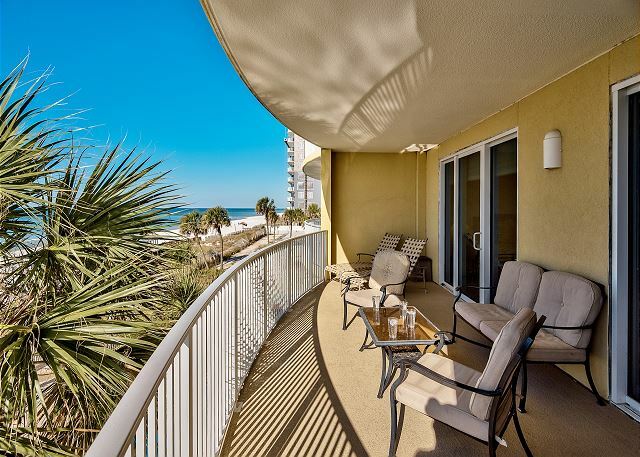 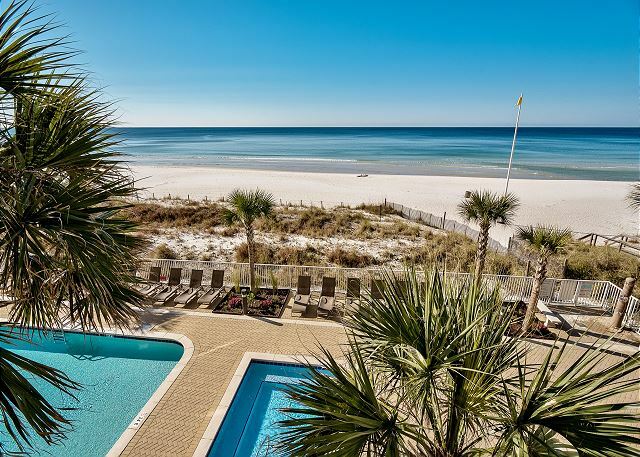 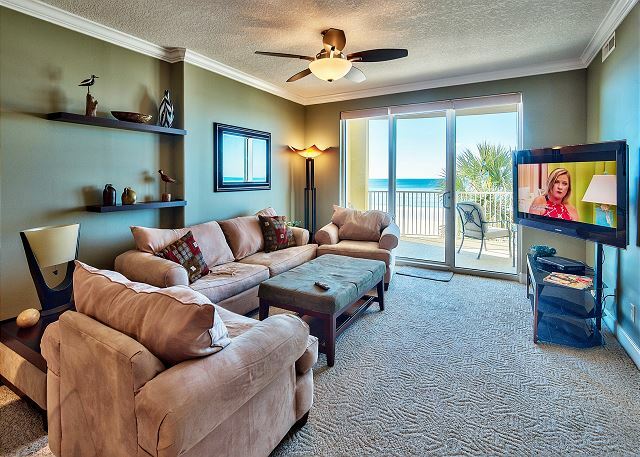 This beachfront condo is located on the 3rd floor of Ocean Villa and has amazing views of the world renowned Emerald Coast. 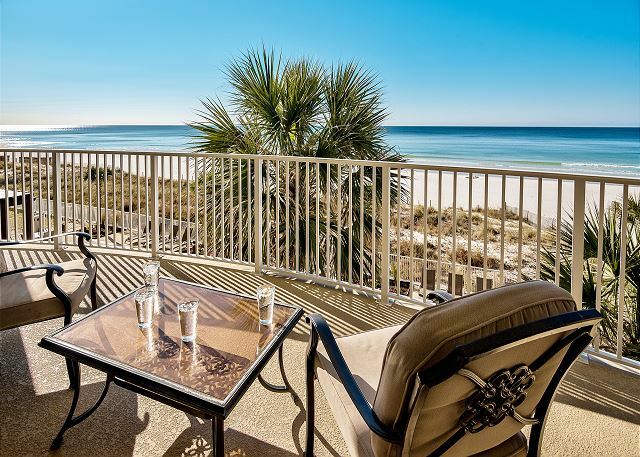 With an oversized balcony, you can enjoy your morning coffee with a view, as well as evening drinks, while you take in gorgeous sunsets or watch the storms roll in. 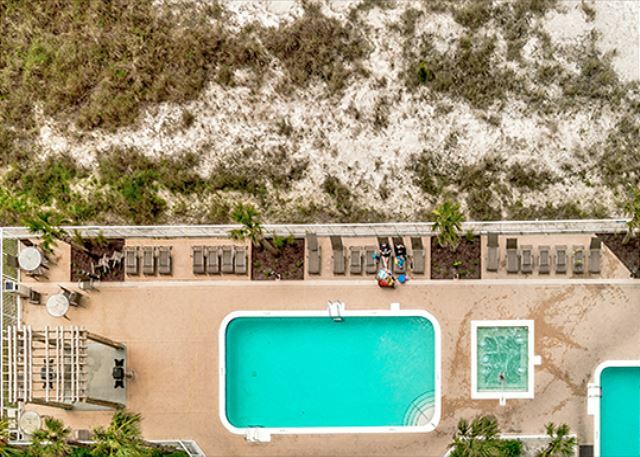 I’ve even seen end-to-end double rainbows from this vantage point! 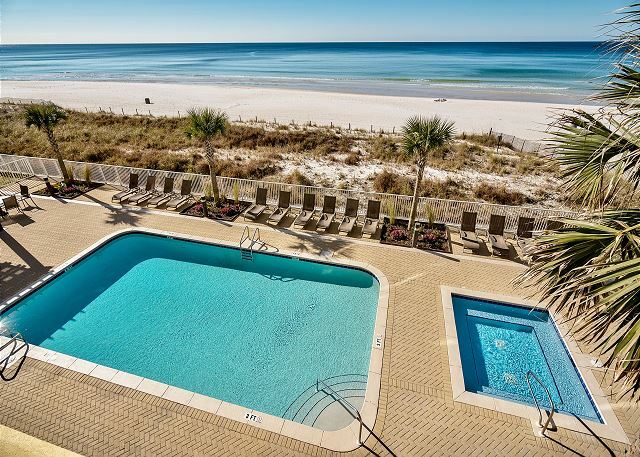 There are lots of kid-friendly attractions and restaurants nearby, or, head down to one of the three pools, Jacuzzi, or the beach, via a private gate with direct beach access. 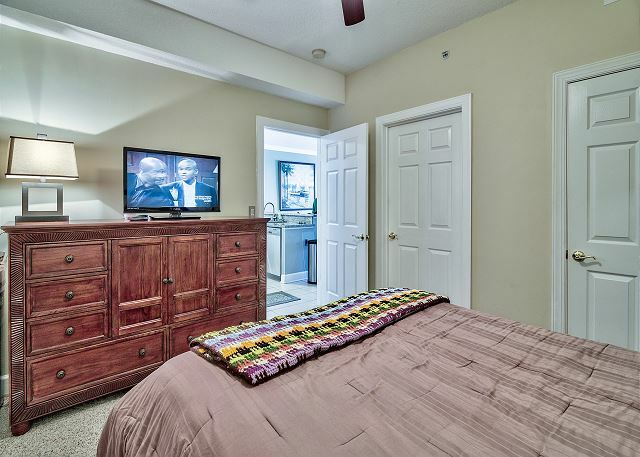 The unit is spacious, with two bedrooms, each with en suite full bathrooms, and a sleeper sofa – the condo sleeps a total of six. 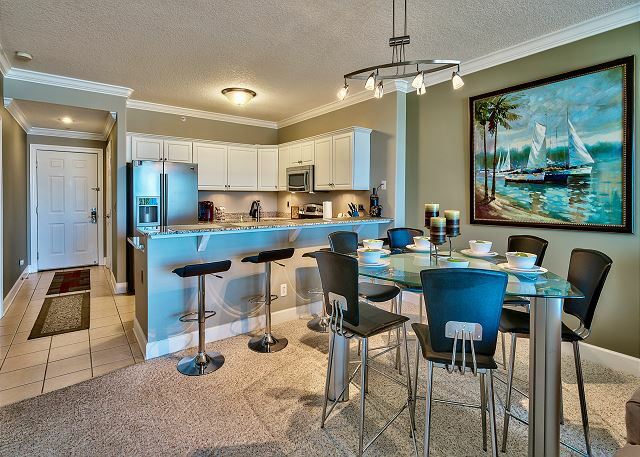 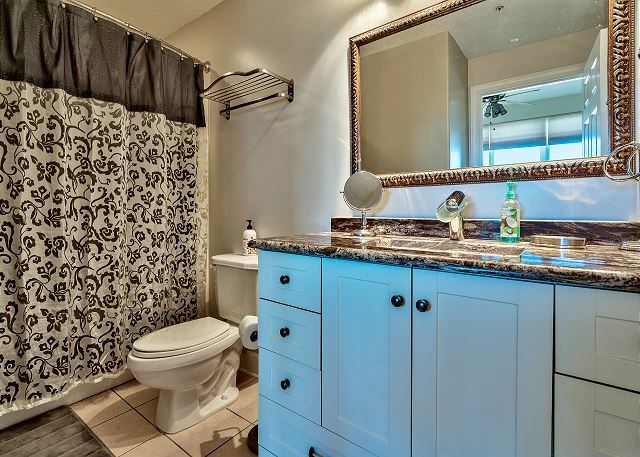 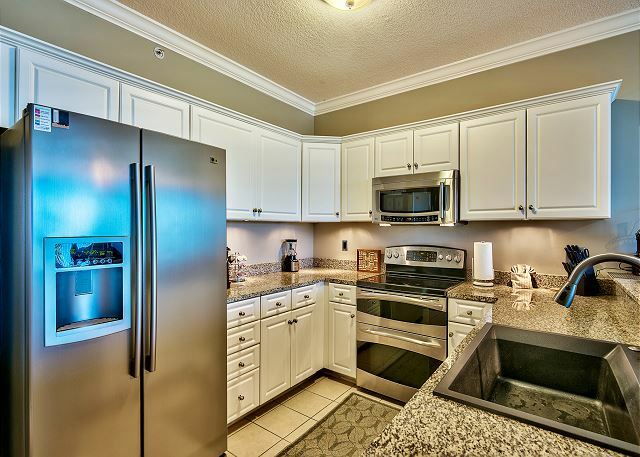 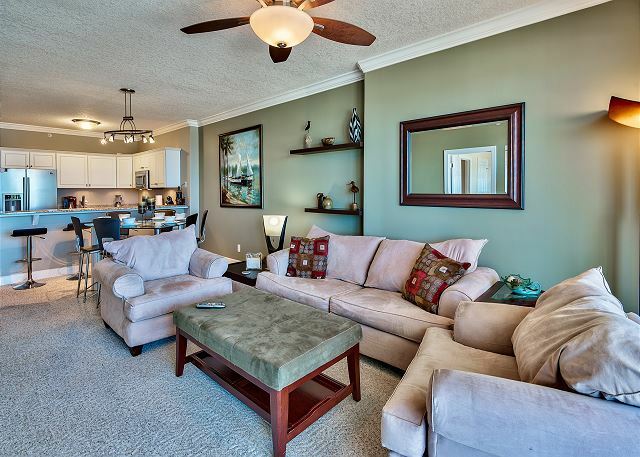 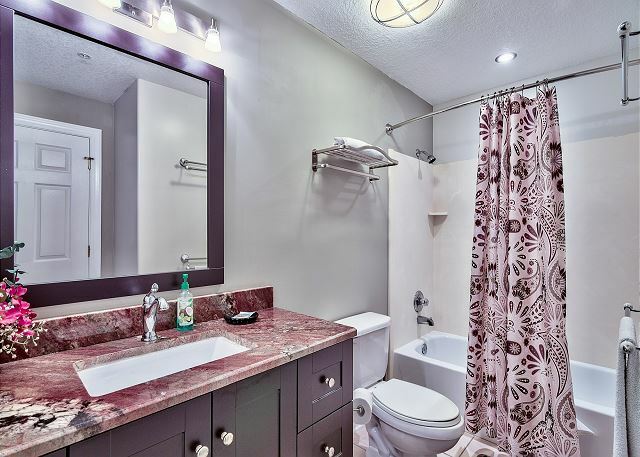 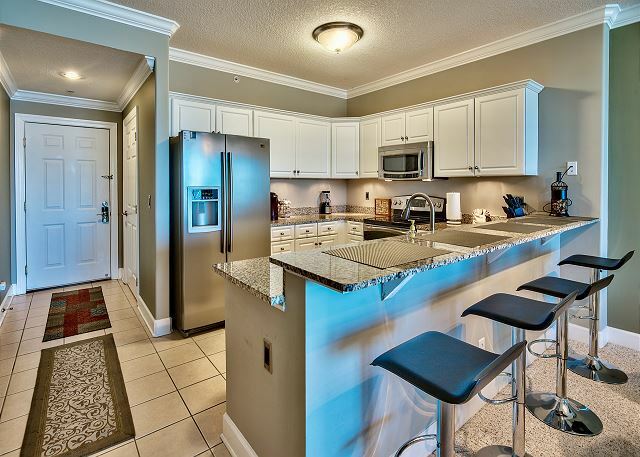 When you walk in, you’ll immediately notice how beautiful the condo is, and the tasteful upscale décor. 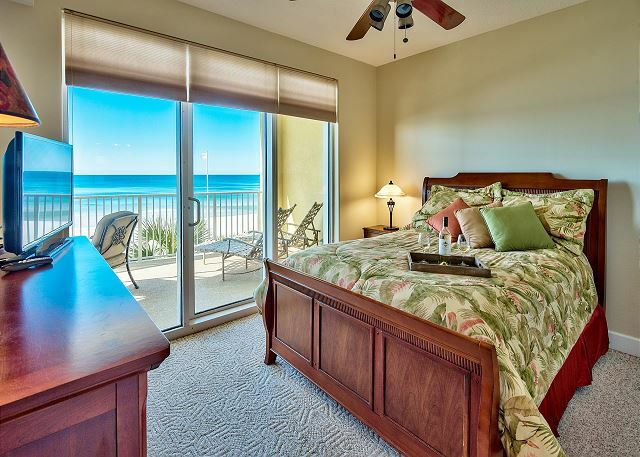 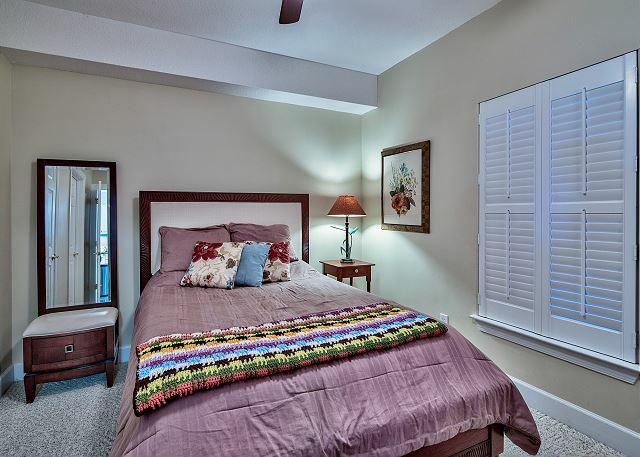 The master bedroom has separate balcony access and the second bedroom has beautiful views of the morning sunrise.